Roto-Gro World Wide Incorporated, a wholly owned subsidiary of Roto-Gro International Limited (ASX:RGI) announced today it had finalised terms with EuroAg Corporation for the supply of 240 Roto-Gro Units over a 12 month period. The order, pursuant to a Distribution Agreement which is renewable on an annual basis at a minimum of 240 units, represents considerable revenue for Roto-Gro, in excess of A$2.25 million. Although it should be noted that the industry and companies within it are still in their early stages and therefore investors should seek professional financial advice if considering this stock for their portfolio. Specifically, the agreement stipulates that EuroAg will purchase a minimum of 240 units within 12 months of the date of the agreement, or 10 months from delivery of the first order. EuroAg has also agreed to drawdown at least 60 units per quarter in order to maintain its distributor status. The large order demonstrates the strong industry support that exists for Roto-Gro, which is currently in multiple discussions with licensed medical cannabis producers also looking to equip their facilities with Roto-Gro Systems. 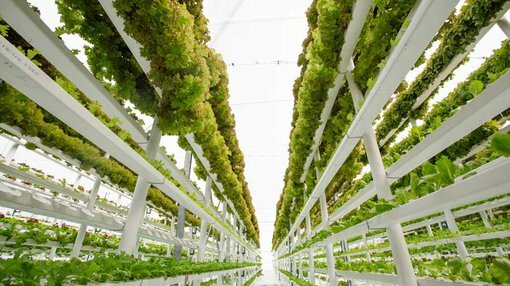 It also confirms for investors the company’s leading edge advantage in providing a cost-effective alternative to traditional hydroponic systems. The Roto-Gro’s 420B Model is a rotary hydroponic vertical farming system, with the advanced model – the Roto-Gro 420C – comprising the same components but with the addition of Roto-Gro’s proprietary software system that monitors elements such as room temperature, humidity, CO2 levels, PH levels and more. These selling points, which the Roto-Gro team has worked diligently to bring to market, amount to a cannabis growing system that’s compact and produces a consistently uniform, high-quality product. This development adds to the growing list of wins for the company in the short time since it listed on the ASX – and the company has stated there are more sales leads in the pipeline.